Videos wouldn't upload but it's basically just the inside of a nightclub, DJ, people dancing, etc, and also a GIF but that's it. Opportunity knocks this week for any legitimate businessperson looking to expand their portfolio in anticipation of Nightclubs coming to Los Santos. Diversify your dealings and make sure your operation is firing on all cylinders with huge bonuses and discounts across a spread of enterprises through July 2nd. Smugglers, Bikers and CEOs can rack up extra earnings this week with Double GTA$ on Smuggler's Run, Biker Business and Special Cargo Sell Missions. If you've yet to set up a base of operations for any of these ventures, Maze Bank Foreclosures and Dynasty 8 Executive are here to help with some stellar discounts on business properties (more details below). Gunrunners in search of powerful tech upgrades can also benefit from a 2X Speed Boost to their Bunker Research projects through July 2nd. Parachute into the danger zone, mount an ironclad war machine and lay waste to your adversaries in Motor Wars, dealing Double GTA$ & RP through June 28th and then kicking it up an extra notch and rewarding all of its bloodthirsty participants with TRIPLE GTA$ & RP payouts from June 29th through July 2nd. Choose from seven maps filled with a smattering of heavy munitions, a fully-stocked cache of your favorite Weaponized Vehicles and a swarm of rival teams looking to be the last left standing. 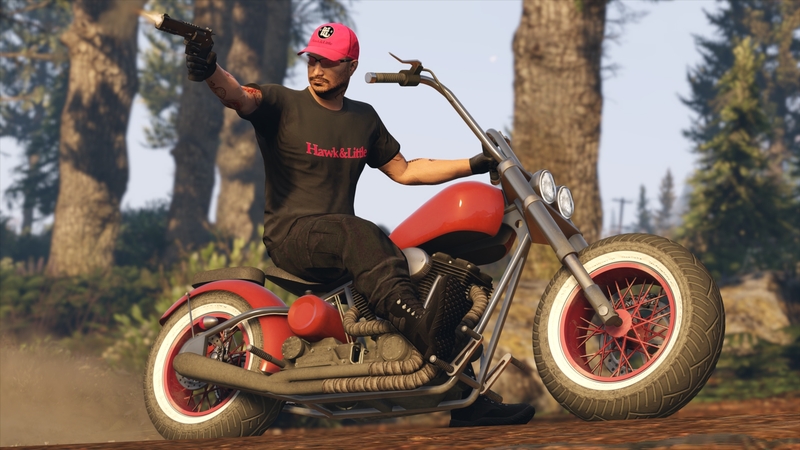 In addition to earning bigger than ever before in Motor Wars, all players who log in this weekend (June 29th – July 2nd) will receive a gratis Red Hawk & Little Cap and the Black Hawk & Little Tee. Don’t forget to join the Guest List for special access to exclusive Liveries, new T-shirts, key discounts and weekly bonus GTA$. Log in to GTA Online any time this week before July 3rd to be automatically added to the Guest List and check out more details here. This looks very promising. I was hearing there were talks about being able to manage all from the nightclub.